Happy new year to everyone! I think,people are busy this month making Resolutions. 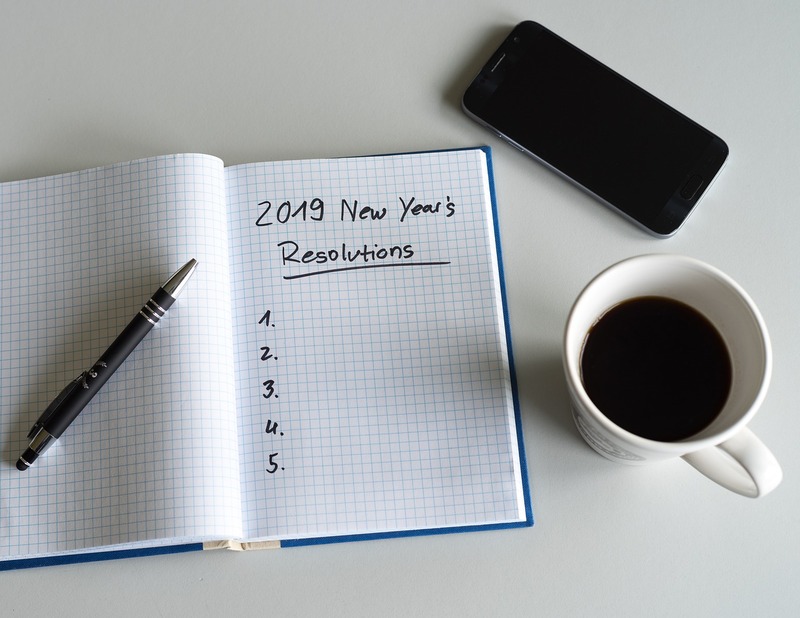 Whether we can stick to the Resolutions for a long time or not is some other thing, but setting some goals at the beginning of the year can help in planning, right? Plans might change, a few plans will fail, we might realize that our planning is bad, but starting to plan keeps us organized. I am not a person who sets new year resolutions. I believe that any time is good to start something good. A new year is like any other time of the year appropriate to set resolutions. If time permits, I would love to write a post every day. However, I don't have that luxury. So, I want to set a goal of posting twice a week. I want to read atleast 4 posts a week from other bloggers. Due to the smart phones, we have access to internet every minute and i know that all my friends ' blogs are a second away from me to read. Just I have to set sometime on Weekends to read them,comment and share them. Thanks to my blogger friends like Corinne , Amrita, I learnt about a lot of tools that can help my blog posts look attractive and grab some eyeballs on social media. I will focus more on creating such good images with watermark of my blog address. I also want to spend more time on creating images specifically for social media. Since I started working again, I am busy this year and so, I cannot write as much I want to. That is the reason i want to spend time on creating quality content on books, parenting and travel instead of churning out more posts per month. So, those are the basic goals/ Resolutions I want to set this year for my blog. How about you? Do you believe in Resolutions? If not, do you agree with me that setting resolutions help us in long term planning even if we don't stick to them? Let me know in comments. 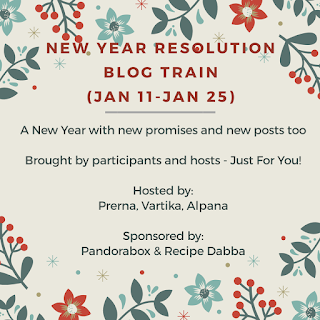 This blog train is hosted by www.prernawahi.com, www.vartikasdiary.com and www.mothersgurukul.com, sponsored by Pandora's Box and Recipe Dabba. May you a achieve all your goals this year, Marathi. Even I wish to stick to my habit of posting twice a week. 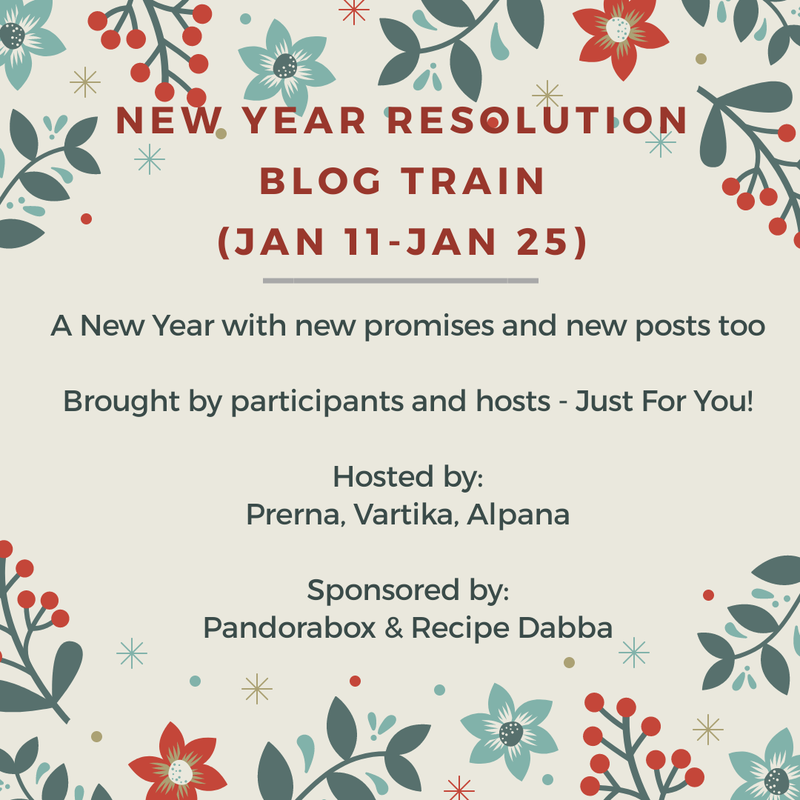 Thanks for being a part of our blog train. That's a good list. I am with some planning, you would be able to achieve your goals. Good luck!! As an on-&-off blogger, these are pretty much my own hopes/blogging goals for this year. Wish you luck Mahathi! I do have some blogging goals too. Simple write up and it is so precise. I hope I dont copy few points from here, as I too feel the same for my blog. Congratulations on the new job. I know managing a lot of things simultaneously can be difficult. Wishing you all the success in achieving your new resolutions. An interesting set of 'to-follow' list that every blogger must know. Nice, readable post. I am not a resolutions person Mahati, just like you. Like you said, any time is good time to start something good / new. Committing to write twice a week is a moderate target that I am sure you will achieve it. As for learning new tools, going by my experience, I must say, learning never ceases to be fun. I learnt using Canva and Insta just a month back and I am loving it! I 'm sure you will too. Wishing you all the best for your blogging goals and look forward to read more and more from Fantastic Feathers! A beautiful post! all the best ! I really considered writing about resolutions for the blog, but I couldn't do it because I don't have one myself! I am having it all on the mind about Blogging and taking it one month at a time! I write when I feel like it, though I really want to write everyday, though I publish it only once or twice a week! I hear you! All the best to Fantastic Feathers and you for a fabulous year ahead! Loved the post, this was an eye-opener for me. I've been trying to maintain these things for my blog too. I adore Dr. Amrita and hats off to the way she keeps posting frequently on her blog. I will for sure start reading other bloggers post regularly this year as it gives me a boost of positive energy to post more often. currently i have also started reading other blogs. Al the points are so good. All the best for this year. Wish you lots of success with your writing. That's a fantastic list Mahathi. Realistic and achievable. All of us bloggers would have a similar one and can so relate to it. Good luck to you and I'm sure this blog train would have helped you work towards these goals, especially reading others posts! Being a blogger, I can completely relate to this post. So good luck to you and hope you achieve the goals. Agree with your points. May you get time to blog and read the posts. Consistency in publishing is - and has been - an issue with me too in my start-stop kinda blogging journey so far. So that's something I could totally relate with. Hope to overcome this flaw this year. I would like to follow your resolution of consistent publishing, Though i decided it many times in the past, i couldn't follow it.. Thanks Alpana, hope I will achieve them. Thanks, I am glad you liked the peacock design of my blog. Thanks Sreelekha. I know, almost all bloggers have similar blogs. Oh thanks Shreelekha. I designed that in some website a long time ago. All the best to you Surabhi. Thanks Anagha. Canvas is the best! Thanks jayanthi. Consistancy in blogging helps even if it's once a week. All the best Yogita for more blogging. Thanks Shipra, same to you too. Ya right Prerna, all of us will have similar blogging goals. Thanks for dropping by Ila. All the best for consistent blogging. All the best Roopali for consistent blogging. Will try to carry them Rashi. Thanks .